ELIAS Shoosmith’s first overseas trip will be to see the country where his great uncle died while serving Australia. The Mindarie Senior College Year 12 student is one of 10 teenagers selected to go on the Premier’s Anzac Student Tour, travelling to Vietnam this week. Elias said the trip would be about honouring his great uncle Roderick Sprigg who served during the Vietnam War and experiencing being in the same place. “My great uncle was one of the last Australians to die in Vietnam,” he said. Private Sprigg (21) was a farm hand in Merredin before he was called up for national service in January 1971. He and another six soldiers were killed in action on September 21, 1971 when their section came under sustained automatic fire. To secure a place on the tour, Elias wrote a thousand-word essay about his great-uncle and whether people should to more to honour Vietnam veterans and went for a panel interview. “I’m most looking forward to experiencing a new culture – I’ve never left the country before,” he said. Elias said Anzac Day was about honouring soldiers past, present and future, including those who have lost their lives and those still alive. 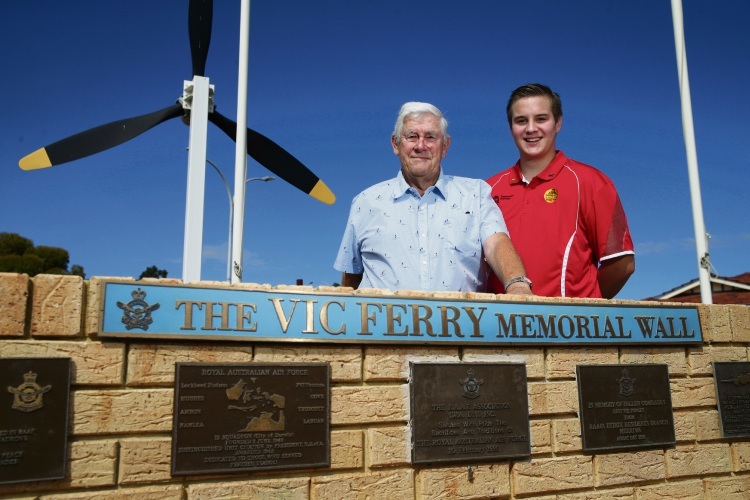 His family has been involved in Quinns Rocks RSL Anzac Day dawn services for more than a decade. His grandfather Maitland Briggs is the ambassador for RAAFA Merriwa and represents the village at school Anzac services. Mr Briggs was an LAC transport driver in the air force, serving in Australia. “He was a Nasho,” Elias said. Elias plans to pursue a career in emergency services, having started as a St John Ambulance paramedic cadet last August. The 2019 Anzac Student Tour will see 10 students, two teacher supervisors and a tour co-ordinator travel to Vietnam from April 16 to 26 to commemorate the 50th anniversary of the Battle of Binh Ba. To commemorate Anzac Day on April 25, students will attend the dawn service at the Australian Embassy in Hanoi. Participants include Applecross Senior High School’s Eva Mustapic, Broome Senior High School’s Bree Potter, Christ Church Grammar School’s Thomas McGrath, Iona Presentation College’s Lily Pedretti, Kununurra Senior High School’s Nathan Moore, Manjimup Senior High School’s Matilda Miller, Margaret River Senior High School’s Emily-Rose Lochore, Rossmoyne Senior High School’s Erin-Louise Peoples and Wesley College’s Stuart Smith.